Turn your Android device into a free phone. Get a free US phone number that will be able to receive calls and texts from anywhere in the world. In addition, you will be able to call and text anyone in the US and Canada using Voice over IP (VoIP) technology. 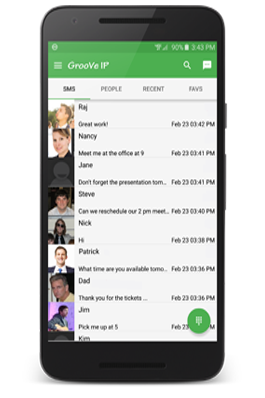 GrooVe IP works on any android device, mobile phone or tablet, and allows you to make calls using the device’s data (WiFi or mobile data) connection. The GrooVe IP app is now available for the iOS platform! Once you sign in, GrooVe IP will be able to receive calls and texts from anywhere in the world. In addition, you will be able to call and text real US and Canadian phone numbers using Voice over IP (VoIP) technology. 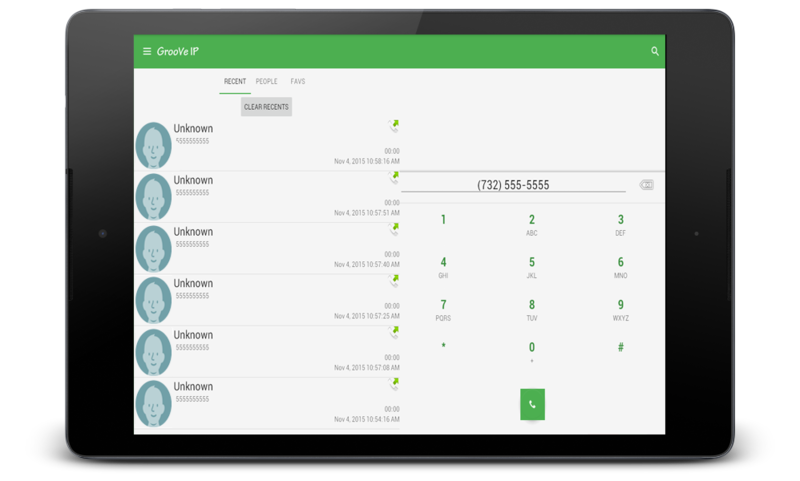 GrooVe IP allows you to make calls using your device’s data (WiFi or mobile data) connection. If you have an iPhone/iPad with Wi-Fi connectivity but no mobile plan, you can use this app to convert it to a free, full-featured working phone/tablet. If you wish to use GrooVe IP for business purposes, possibly with a requirement for multiple phone numbers, please check out GrooVe IP – Commercial! You can do phone number management from our web site, or by using our APIs from your server. Use the enterprise version of GrooVe IP free of charge or any standard SIP client of your choice. In addition, use our APIs for sending/receiving SMS. Both prepaid and postpaid plans are available.